KALDEWEI, Ahlen, March 2019. 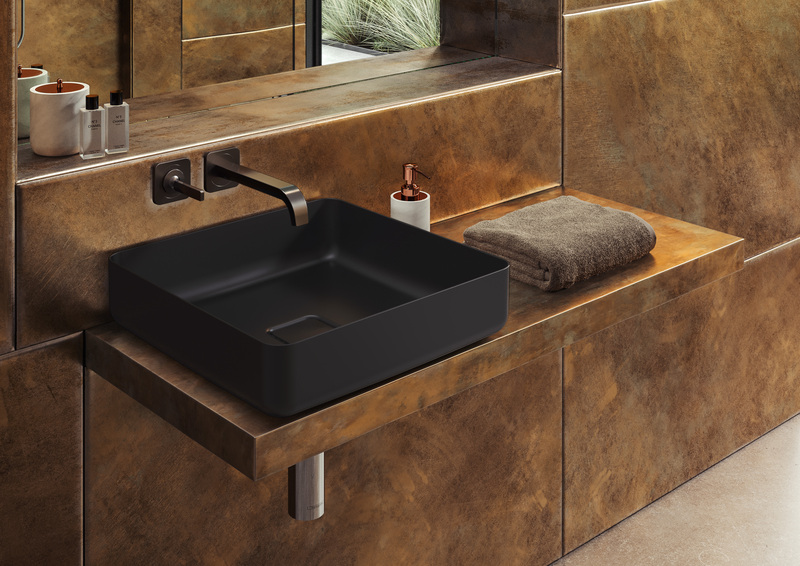 – In extending the Coordinated Colours Collection to its washbasin segment, Kaldewei has opened up new opportunities to create dream bathrooms: alongside the standard bathroom colours, architects, planners and builders can now also choose from eight exclusive matt colours for the premium manufacturer’s washbasin solutions. 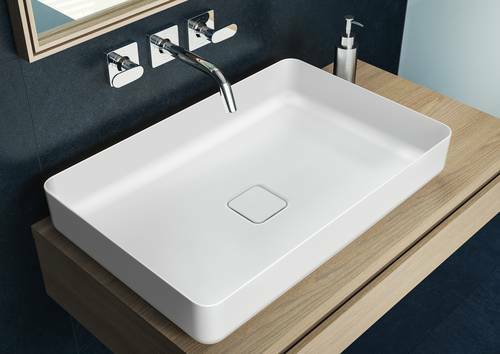 This means that virtually all versions – from compact hand washbasin to lavish twin washbasin – are now transformed into a “Perfect Match” for Kaldewei’s coloured enamel shower surfaces and baths. Another helpful feature in creating the dream bathroom is that, thanks to the range of installation types, sizes and designs, there is a suitable washbasin for every room situation. Good interior design consists of making the bathroom not only an important retreat, but to design it with the same devotion and sense of style that have long been given to the rest of the home. “We aim to make bathroom planning as simple as possible for our customers by constantly expanding our Iconic Bathroom Solutions,” says Britta Jung, Kaldewei’s Head of International Product Management Washbasins, adding: “With the new range of colours for our washbasins, these enable greater choice and freedom to create perfectly matching bathroom solutions, helping to create dream bathrooms in any given space. ultra-versatile. From compact single washbasin solution to twin washbasin with spacious interior, Kaldewei provide a solution for every type of bathroom by combining premium design with exceptional functionality. Exclusive colours are the key feature for successful bathroom designThe exclusive shades of the Kaldewei Coordinated Colours Collection accentuate the unique character of the bathroom solutions across all of Kaldewei’s various design lines, and adapt washbasins, baths and shower surfaces perfectly to any given bathroom colour scheme. Coloured enamelled washbasins enhance the space by means of a harmonious interplay of shades. Alternatively, in the matt greys, soft cream or sophisticated black of the Kaldewei colour world they can provide a striking contrast to the bathroom furniture or, in the case of wall-mounted washbasins, stand out discreetly from the floor and wall decor. With the eight exclusive matt colours in the Kaldewei Coordinated Colours Collection virtually all washbasin types – from compact hand washbasin to lavish twin washbasin – become the “Perfect Match” for coloured, enamelled Kaldewei shower surfaces and baths. 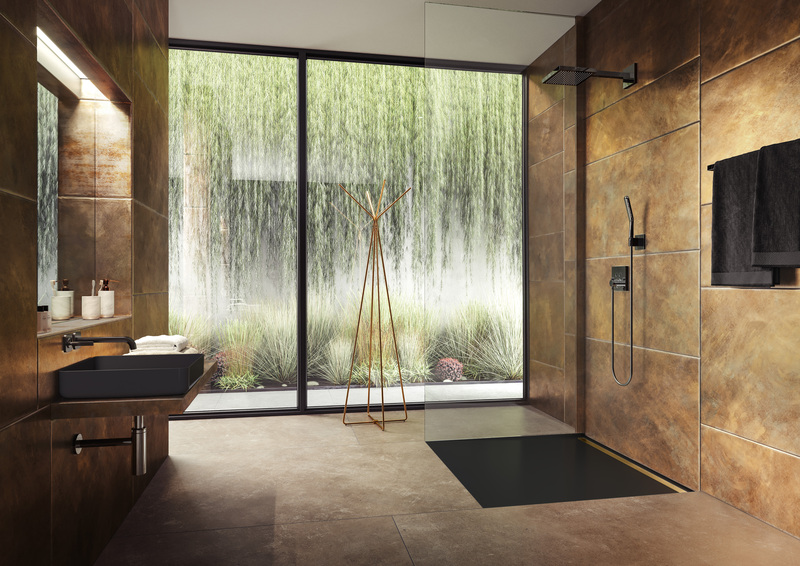 Products shown: Kaldewei Miena washbasin bowl and Nexsys shower surface in Lava Black matt from the Coordinated Colours Collection. Coloured enamelled washbasins enhance the space. In sophisticated Lava Black matt, they can also be an effective contrast to the bathroom furniture. Product shown: Kaldewei Miena washbasin bowl in Lava Black matt from the Kaldewei Coordinated Colours Collection. Alongside the standard bathroom colours, architects, planners and builders can now also choose from eight exclusive matt colours for the premium manufacturer’s washbasins. The exquisite matt shades of the Coordinated Colours Collection bring harmony to the bathroom and accentuate the character of the high-end bathroom solutions. 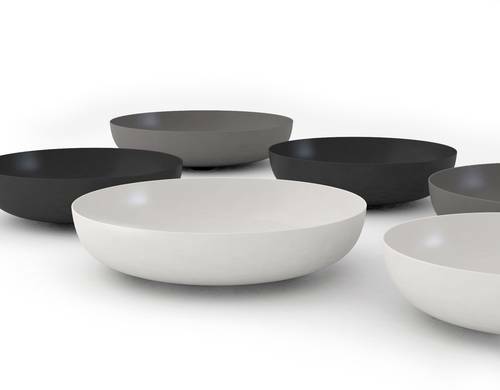 Products shown: Kaldewei Miena washbasin bowls in various colours from the Coordinated Colours Collection. As the most frequently used fitting in the dream bathroom, washbasins have to meet a huge range of requirements. The synergy between functionality and design go hand in hand in helping to create a calm space that is in harmony with itself. 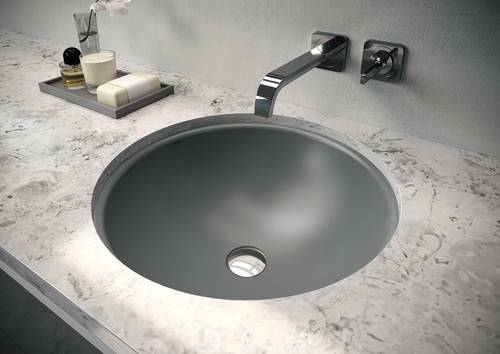 Product shown: Kaldewei Cono double washbasin in Oyster Grey matt from the Coordinated Colours Collection. The exclusive shades of the Kaldewei Coordinated Colours Collection accentuate the unique character of the bathroom solutions across all of Kaldewei’s various design lines, adapting washbasins, baths and shower surfaces perfectly to the given bathroom colour scheme. Product shown: Kaldewei Miena washbasin bowl in Alpine White matt from the Coordinated Colours Collection. Kaldewei aims to make bathroom planning as easy as possible for its customers by constantly expanding its Iconic Bathroom Solutions. The new range of washbasin colours provides greater choice and freedom to perfectly match bathroom solutions, helping to create dream bathrooms in any given space. 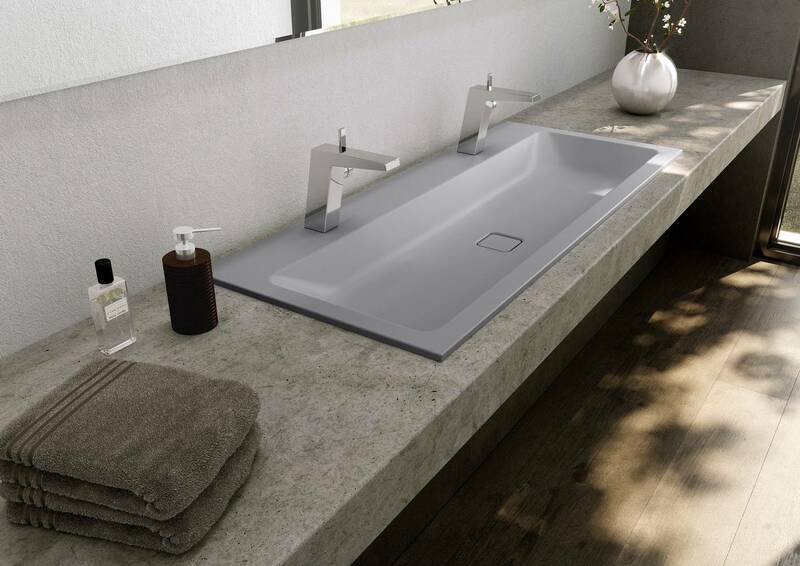 Product shown: Kaldewei Classic undercounter washbasin in Catania Grey Matt from the Coordinated Colours Collection. Configure your own personal KALDEWEI product.